No friendship is alike, so choosing the right flowers to express appreciation for these special people in our lives is a delicate task. Fortunately, each flower has an individual meaning that can reflect the unique traits that you cherish in another person, or in the relationship itself. By following these tips, you can ensure that whatever you choose, your Friendship Day flowers express precisely the right message to your loved ones. The alstroemeria flower is a symbol of wealth, prosperity and fortune – but it's also the flower of friendship. A hardy flower, it can demonstrate the lasting power of commitment and care, making it an ideal choice for an old friend. The orchid is a unique flower, with each having an individual personality that can symbolize an unusual friendship that is beyond compare. The mysterious ruffled blossom of the peony is perfect for communicating a secret admiration and love to a friend, while lilacs symbolize youthful innocence, making them ideal for a first love. The chrysanthemum's golden glow has come to represent shining fidelity, so it's a perfect choice for celebrating a loyal, faithful friendship. If a friend is going through a tough time in his or her life, the anenome can offer a message of hope. The intricate petals generate a sense of calm to the environment while the flower also suggests overcoming adversity and anxiety and anticipating positive change. But if you're looking to recognize a friend's strength of character in overcoming difficulties, opt for the lovely gladiolus. For a friend that needs a lift, the exotic birds of paradise flower is a joyous reminder of your love and appraisal. On the other hand, the aster represents patience and is a great choice if you're looking to express appreciation for a friend that is seeing you through a trying time, as this flower. Bouvardias are fitting for congratulating a friend on an accomplishment. Bouvardia flowers, which are native to Mexico, emanate a zest for life and enthusiasm. The radiant confidence of red carnations also make them an excellent selection for expressing how proud you are of a friend. Be careful when selecting a carnation's color as a yellow flower symbolizes disdain rejection or disappointment while a striped carnation conveys refusal. A bunch of cheery daffodils represent a rebirth or new beginning. These blooms also indicate optimism and promise, making them a practical flower to celebrate a new home, child or job. The delphinium's pastel flowers symbolize a transcendence, so they're an appropriate choice for lauding someone's special growth, especially of the spiritual nature. Meanwhile, the graceful freesia signify poise under pressure, so they're a great selection for someone who has been staying calm despite obstacles. For friends that you haven't seen in quite some time, the statice or "sea lavender" is easy to dry out and preserve, so its longevity can suggest fond memories for someone you miss. Flowers can have great significance, so take care in your selection when gifting them to a friend who has played an important role in your life. 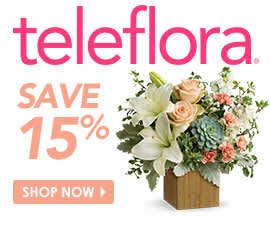 Browse Teleflora’s Friendship Day bouquets or choose to send flowers online by type of flower.